The Natchitoches Police Department and the La. State Fire Marshal’s Office have worked tirelessly together in order to learn the facts behind this homicide. The two agencies have worked as one since this investigation’s conception through extremely long days and nights with little to no sleep. 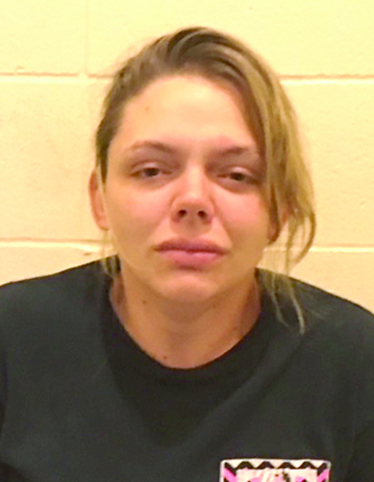 On July 25, Hannah Barker, w/f, 22, was charged with Principal to First-Degree Murder in the killing of her 6-month-old baby boy, Levi Ellerbe. Barker was booked into the Natchitoches Parish Detention Center awaiting a 72 hour hearing. Earlier this week, Natchitoches resident Felicia Marie-Nicole Smith was arrested for First-Degree Murder in the case. An additional charge is expected to be brought against Smith. Due to the extremely rapidly growing nature of this investigation, we must continue to restrict the information that is released. Therefore, no further information shall be released at this time. Thank you for your cooperation. All persons concerned in the commission of a crime, whether present or absent, and whether they directly commit the act constituting the offense, aid and abet in its commission, or directly or indirectly counsel or procure another to commit the crime, are principals.